Old Millennials are defined as 25-36 year olds according to the US Census Bureau. 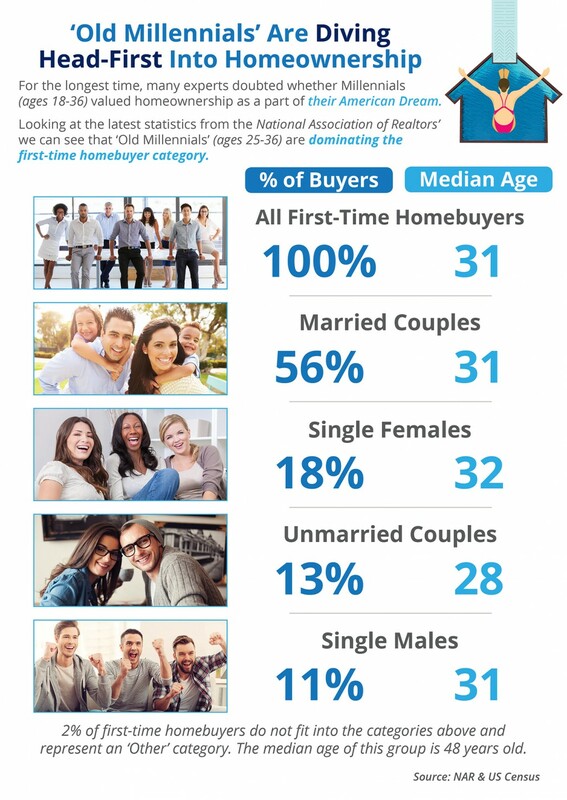 According to NARs latest Profile of Home Buyers & Sellers, the median age of all first-time home buyers is 31 years old. More and more Old Millennials are realizing that homeownership is within their reach now!